In Tiny Home Tours we know that the smart use of space is one of the most important things for people interested in downsizing to a tiny living. 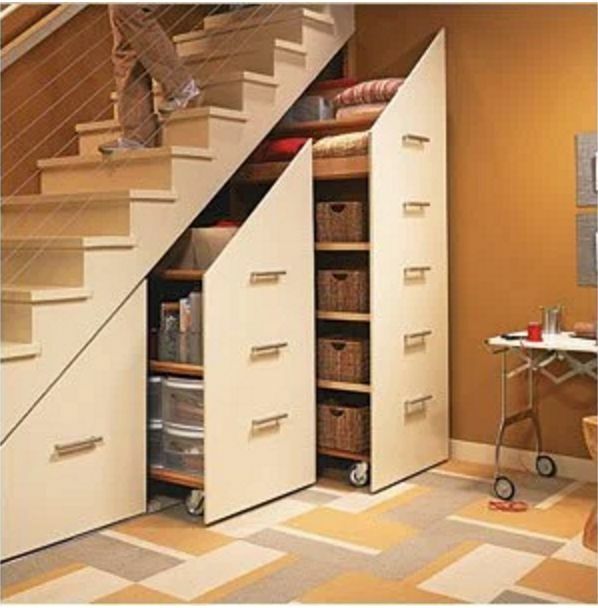 Therefore, we've selected 17 of the most interesting saving space ideas for you. From DIY storage hacks for the kitchen or the bedroom to amazing foldable and multifunctional furniture, these ideas are specially designed to have your house well organized without sacrificing design. 1. 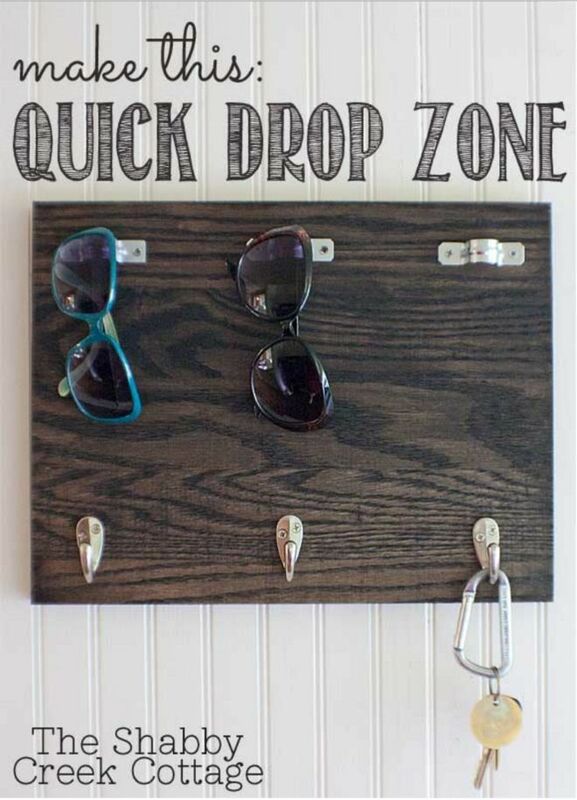 DIY quick drop zone for your keys and sunglasses to keep them organized and not taking up valuable space. Learn how to make it at The Shabby Creek Cottage. 2. Over the cabinet door waste/storage basket. You can get one of these on Amazon. 3. 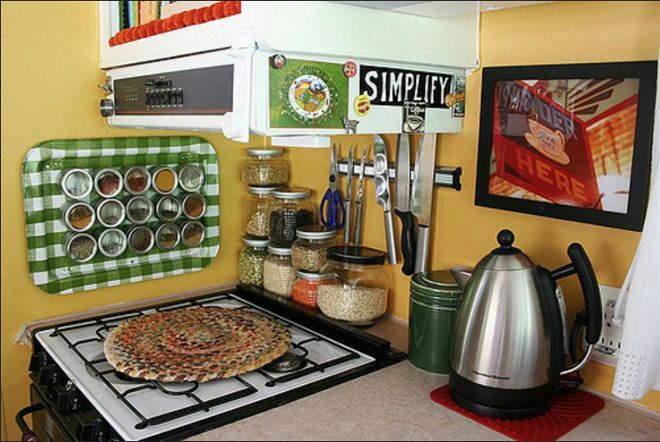 Add a hanging pantry to your tiny kitchen. You can find how to DIY on PopUpPortal. 4. 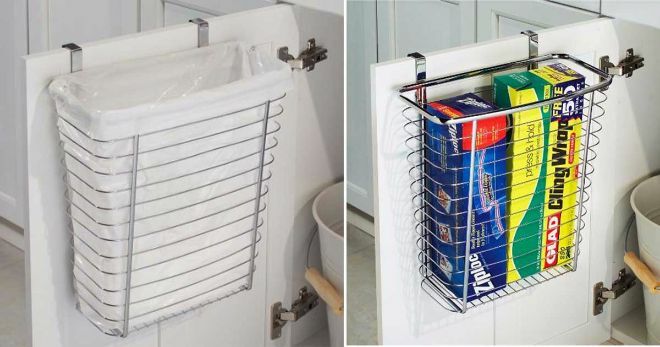 Amazon gives an alternative to hanging baskets with this chrome kitchen organizer. 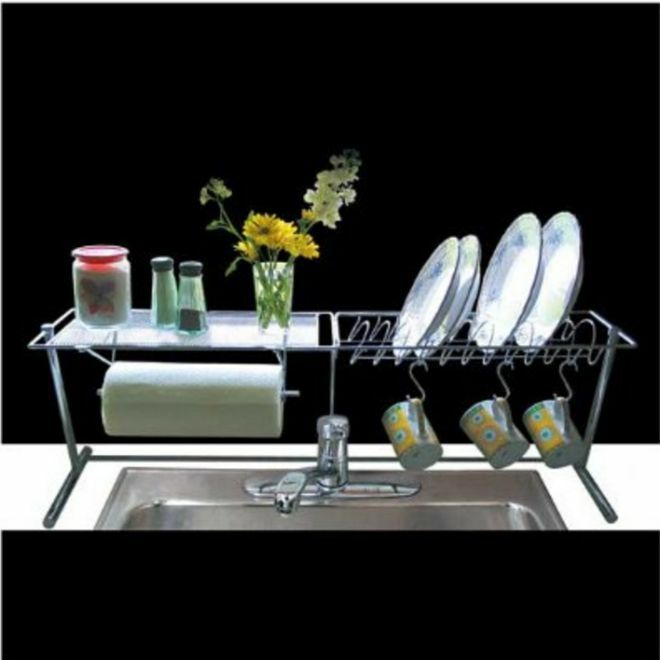 It comes with a paper towels and plates rack and a small tray. 5. 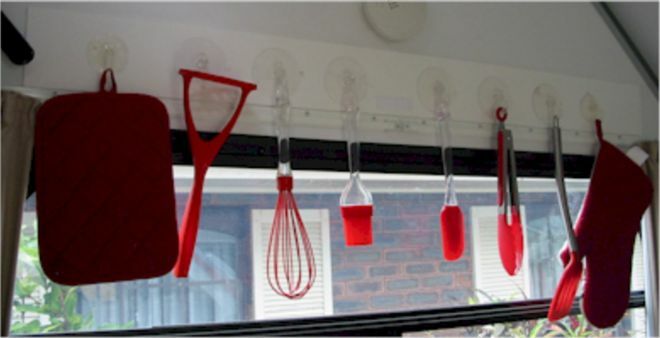 Suction caps will allow you to storage away small kitchen utensils. Userweb.eftel had this idea, that also works for gardening tools, for example. 6. 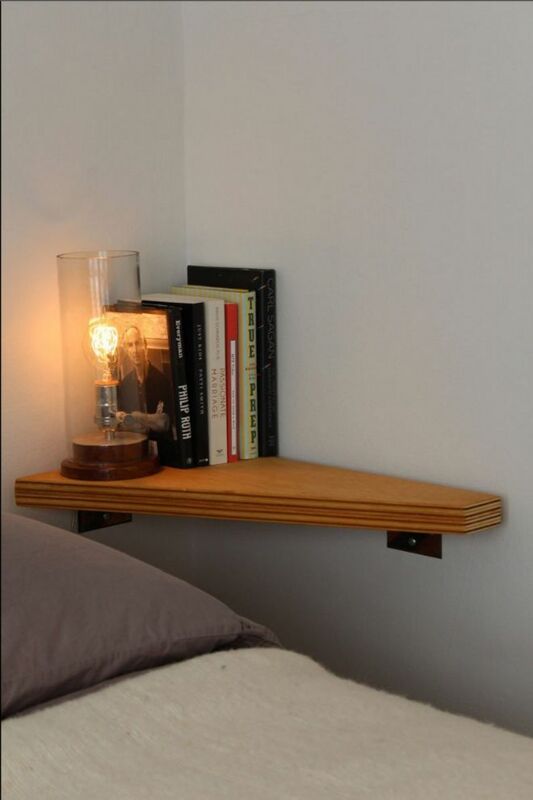 Use corner space to your advantage with this awesome nightstand. Apartment Therapy features this idea by Kathleen and Bradford in their Heritage of Harmony Home. 7. 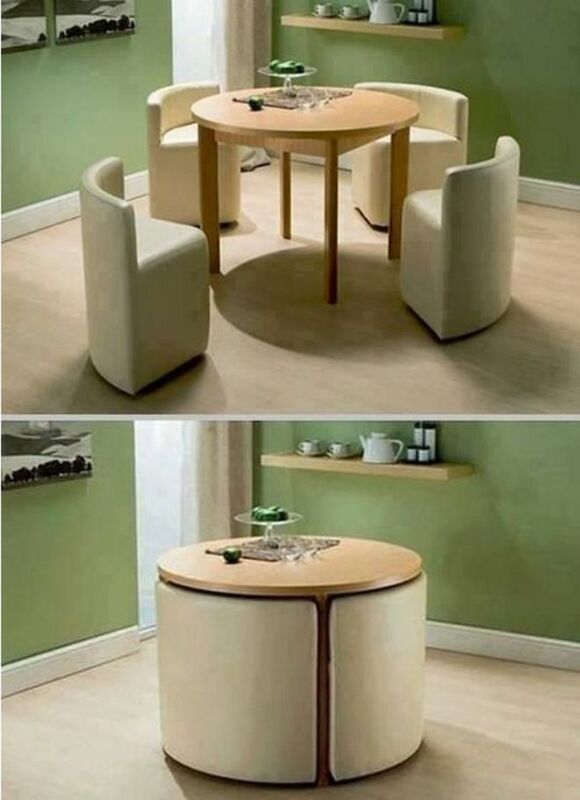 Save space with this awesome set of a round dining table and four chairs. HomEdit shares an idea perfect for those who love to host dinner parties but lack the space to do it. 8. Use magnets to store things away in your tiny kitchen. This idea was seen on Flickr by HappyJanssens. 9. 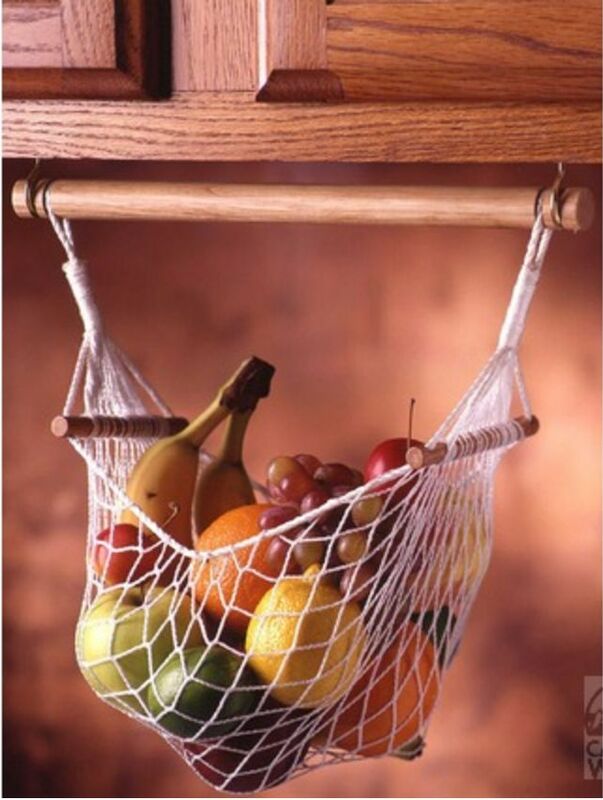 Fruit storage and display with a hanging basket. 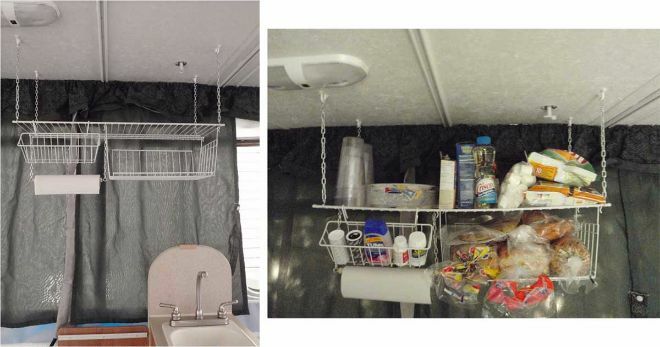 You can find this pretty and functional idea on Camping World. 10. 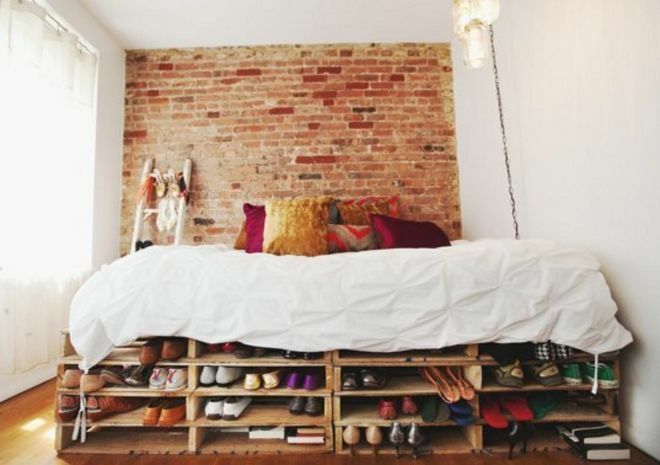 Store all your shoes with this small pallet shelf under the bed. This idea was seen in HomePolish, photography by Chellise Michael. 11. 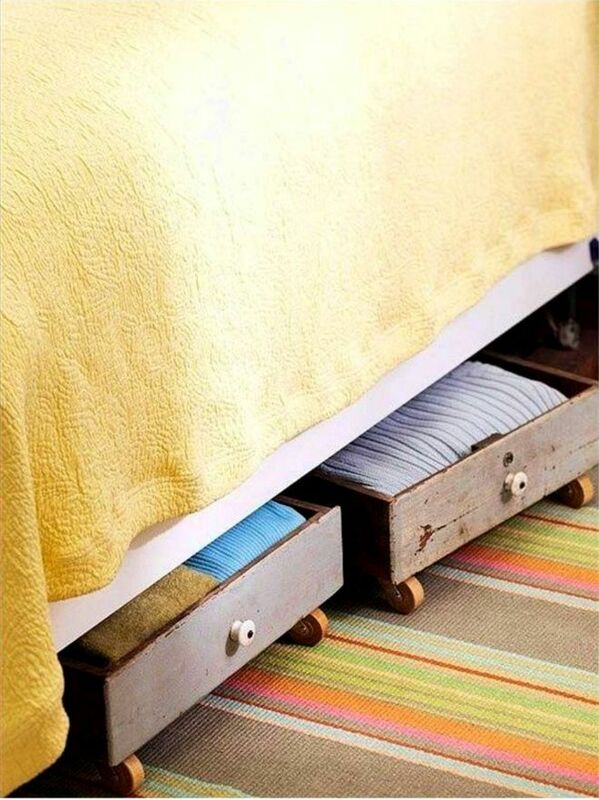 You can also put away many of your belongings with these under-the-bed drawers on wheels. This idea was seen on Tara Godwin's website. It would also be very easy to DIY. Just look for some drawers in a thrift store and add some wheels to them. Easy peasy! 12. 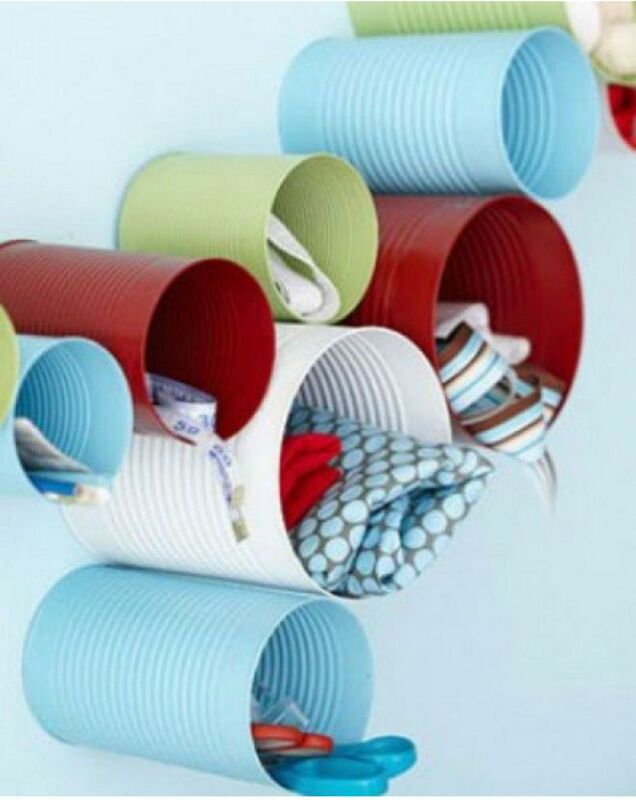 Add some color to any room in your tiny homes with these beautiful DIY repurposed cans. Find this idea in Better Homes and Gardens via Pinterest. 13. 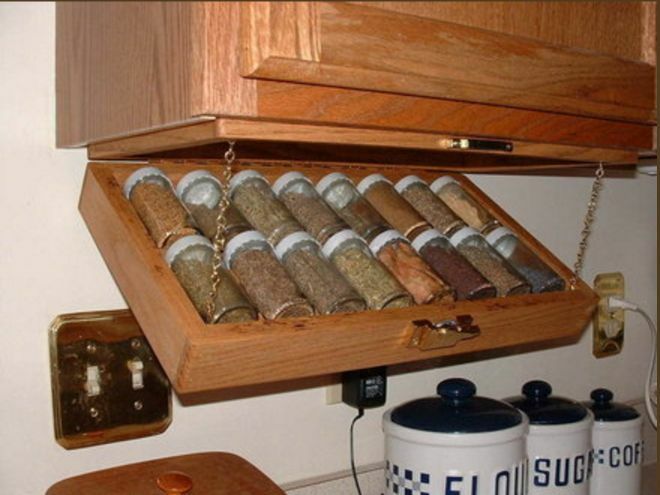 Lumberjocks shows you how to build a fold out spice rack. 14. A raised bed with a slide out table can also be a smart space saver. 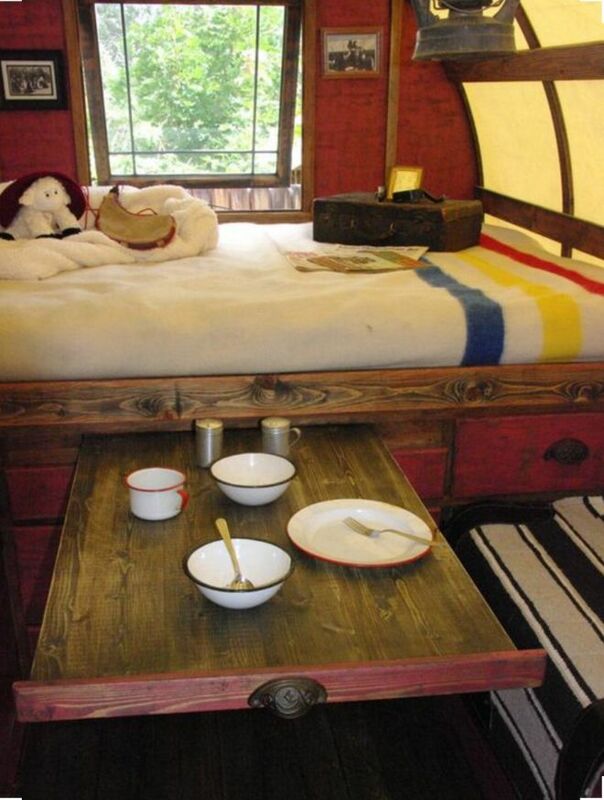 Seen on Camping Road Trip via Pinterest. 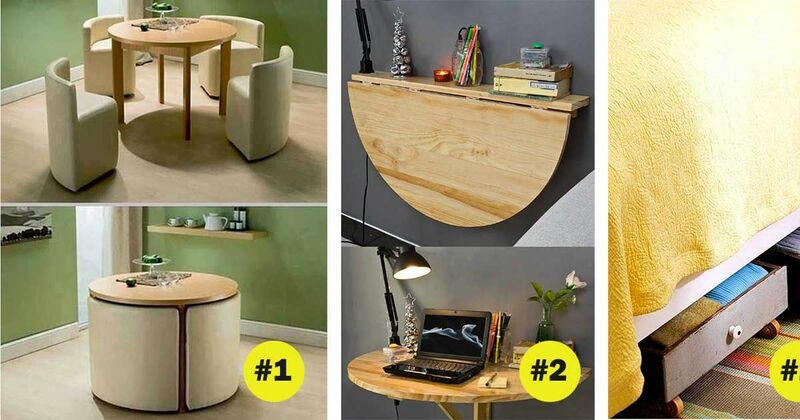 WorkBench Magazine shares this fantastic space saving idea. 16. 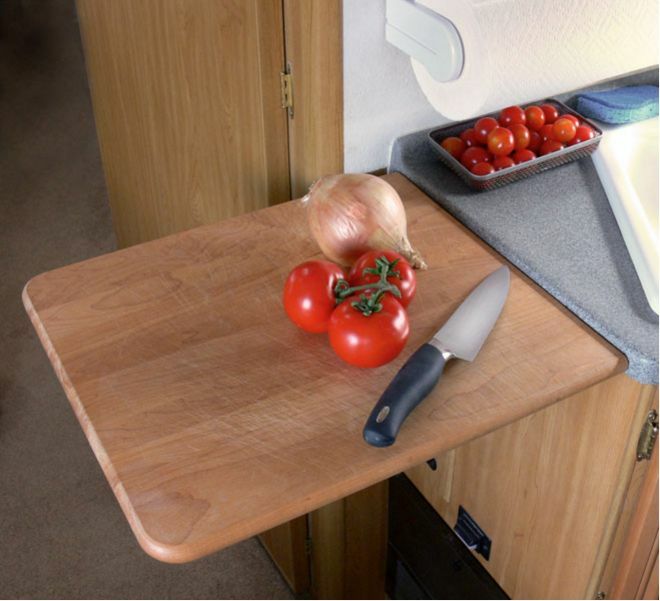 A slide out cutting board is perfect to save space in a tiny kitchen. 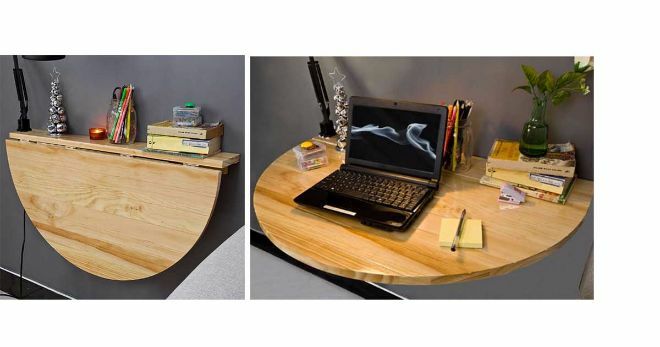 You can get this multifunctional combination of shelf, dining table and desk on Amazon. Which one was your favorite idea? Please, don't forget to SHARE them with your friends on Facebook so they can be inspired by these ideas, too!